Last month I hired a local falconry center to bring several owls and a Peregrine Falcon into the studio. 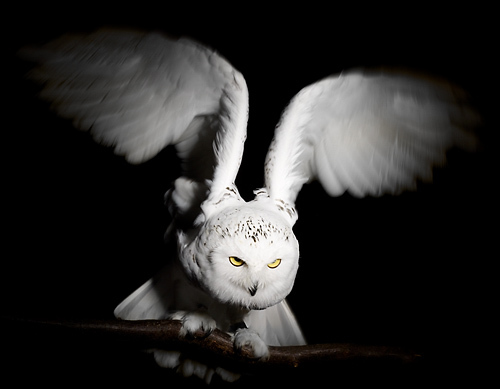 The owls species were: Snowy, Eagle, Scops, Barn and Great Grey. They all behaved very well and behaved (just about) exactly as I wanted them to. I made a short video of the Snowy Owl and Peregrine, the rest were photographed as still images. 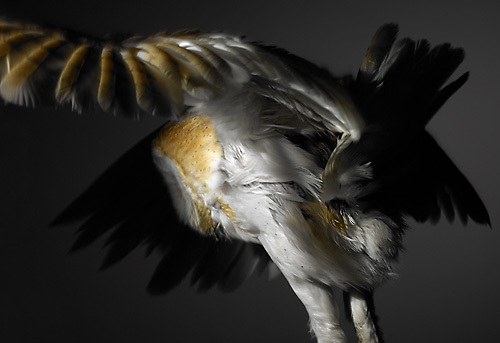 My aim was to create some movement and blur, giving the shots a more real life feel, also getting a few abstract photos of wings and tail feathers flapping around.